This last week, a sample was submitted and analyzed through EcstasyData that we clearly established was one of the three main ring-positional isomers of Methylethylcathinone (aka MEC). However, we didn’t have the lab standards on hand for this chemical, because it is the first time we’ve run into it since the supplier of lab standards we order from has stocked the three positional isomers. Based on library matches* alone, it was impossible to be certain whether the sample contained 2-MEC, 3-MEC, or 4-MEC. We’ve run into this issue of positional isomers a bunch of times before over the last sixteen years of operating our street drug analysis project. Luckily, Cayman Chemicals is a really great source of lab standards for NPS (“new psychoactive substances” aka psychoactive research chemicals). So we ordered reference standards for 2-MEC, 3-MEC, and 4-MEC, to find out if our equipment and lab procedures could make use of having the actual verified isomers on hand, for the purpose of confirming whether sample #5682 contained one or more of these slightly different versions of the same parent compound. We ordered the standards on September 5th and they arrived at Drug Detection Laboratories (the lab that EcstasyData contracts with) on the 7th. The amazing DDL lab team, working on Saturday, ran the standards through their GC/MS and were able to confirm that sample #5682 contains only 4-Methylethylcathinone and none of the other two positional isomers. Yay! There are many psychoactive chemicals with positional isomers that are difficult to reliably differentiate using GC/MS or UV absorption, even with the proper standards on hand. We’ve spent a lot of time over the last few years seeking clarity in our analysis of fluorinated amphetamines (2-, 3-, or 4-Fluoroamphetamine aka 4-FA) and the *-APB chemicals. And we’ve not been entirely successful. In most cases, one of the positional isomers is easy to tell apart from the others, but the other versions overlap in complex ways by retention time or fragmentation patterns. For MEC, the differences in column retention times for each of the positional isomers make them easy to differentiate using DDL’s Agilent GC/MS. On another note, we also ordered a lab standard for Benzyl fentanyl this week, and were able to confirm that sample #5667 contains only Benzyl fentanyl. Less impressive, since we were pretty certain that’s what it was to begin with, but the initial match was based on comparing against other published spectra and not our own lab’s confirmation using a known standard of the same substance. *Identifying “by library match” refers to the process of comparing images of GC/MS output for a given sample to images of GC/MS output for a verified reference standard. Because equipment and lab procedures vary, to double-check identification by library match, a lab can acquire its own sample of a reference standard (if one is available), run it through the lab’s equipment, and compare the resulting images to those of the submitted sample being analyzed. After receiving lab standards for 2-fluorodeschloroketamine, we have been able to confirm that two samples, previously unidentified, are in fact 2-FDCK. 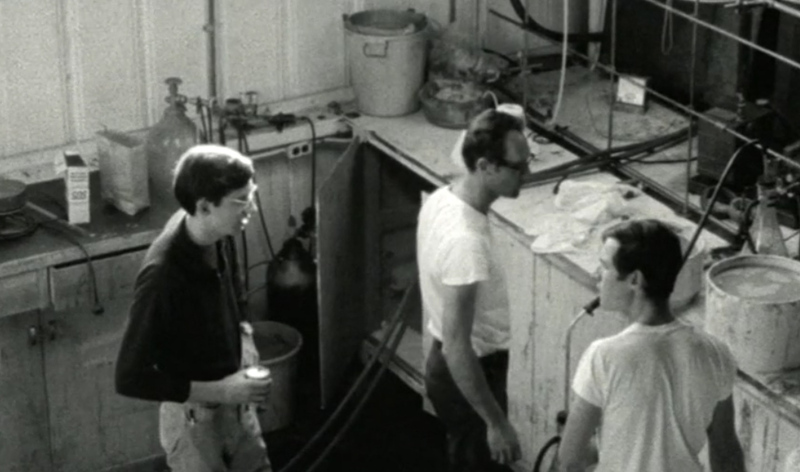 Fire and I just finished watching a preview copy of The Sunshine Makers, a documentary about 1960s LSD manufacturers. We were very impressed! The quality of the content, editing, storytelling and sound, as well as inclusion of old photos, film footage and video are all amazing, but what makes it really stand out is the voice-reenacted law enforcement records and on-camera interviews with officers about the prosecutions of Nick Sand and Tim Scully. The film tells the Sand/Scully stories with historical details we have never heard before, and includes audio and visual styling that add depth and entertainment value. For example, cutaway animations layered with stills of buildings, revealing miniature scenes of lab work happening inside them, are super clever. 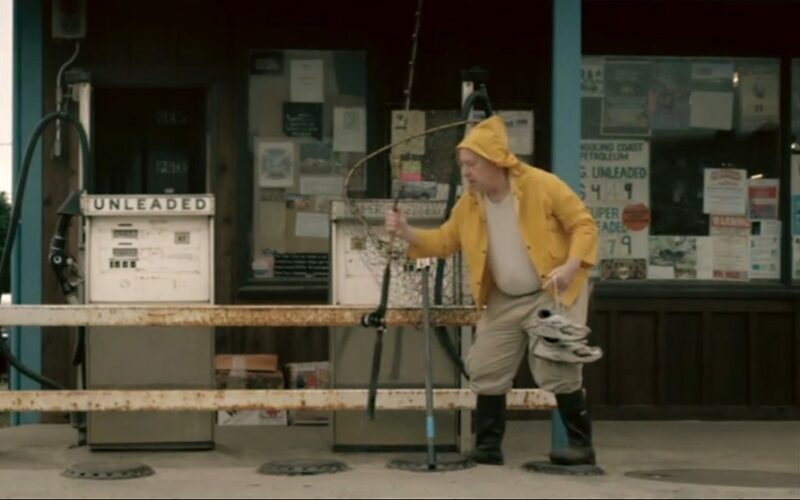 Cosmo Feilding-Mellen and his filmmaker team include a few hilarious bits, like having Nick Sand dress up in a fishing outfit, while in voiceover he recounts a story of fleeing to Canada by pretending to be a fisherman. They do a fun job of narrating a car chase, interleaving storytellers that include a police investigator who was working to imprison Nick for LSD manufacturing. What The Sunshine Makers helps clarify is that Nick was and is still an activist. While Tim Scully started out an activist, the downside of being a black market synthetic chemist and spending years in prison have him sounding a somewhat more constrained note. Executive Summary: Different labs use different standards for reporting percentage purity assessments and also for mass when doing quantitative measurements for psychoactive drugs like MDMA. One lab’s 84% might be another lab’s 100%. This also means one lab’s 84 mg might be another lab’s 100 mg.
Erowid friend and Internet drug geek, Borax, pointed out a paper that analyzed some of the Dutch Trimbos Institute’s DIMS data. The peer-reviewed article was published in the journal Addiction: “Purity, adulteration and price of drugs bought online versus offline in the Netherlands” (2016). We love the Dutch DIMS testing service and have written about it before. The publication of this article did not reveal a lot that we didn’t already know, but has brought into focus a heated argument that has been ongoing in public and private discussion forums about analytical methodologies for on-site and lab drug analysis. What does it mean when a lab reports that a powder is 100% pure MDMA? What does it mean when a lab reports that a tablet contains 100 mg of MDMA? The reason for writing about this is that there are no simple answers to those questions, though it seems like there should be. Some online vendors of research chemicals have stated that various labs’ purity results in the 75-85% range mean that the sample was really “100% pure”, because of different ways of handling the mass of the sort-of-attached non-psychoactive salt anion. An anion is a negatively charged counter-ion that balances the positively charged, nitrogen-bearing drug molecule. When freebases are turned into salts, an anion is added. The main case and the one that’s relatively easy to talk about is MDMA. MDMA is normally produced and distributed as MDMA hydrochloride (HCl), which is MDMA in a solution that has been converted to a crystalline form—-a “salt”-—by bubbling hydrochloric acid gas through the liquid. This causes the MDMA to turn insoluble in the solvent, precipitating out as MDMA HCl crystals. There are other possible salt forms of MDMA, but this is the “table salt” (most common salt form) of ecstasy/molly. In fact, normal table salt or culinary salt is usually considered Sodium Chloride, or NaCl. We’re virtually swimming in tiny amounts of acids and salts in our normal environments. Remember your protective eyewear! In addition to chloride salts like HCl, there are numerous anion salts possible, such as sulfide, fluoride, and bromide. For some psychoactive chemicals, the specific salt form can make a big difference in determining a dose. Mescaline has been distributed historically as Mescaline hydrochloride, Mescaline sulfate, Mescaline citrate, and Mescaline acetate. All of these have slightly different mass ratios between the base mescaline molecule and the portion that is the partially-bound anion. One could theoretically get 25% more or less mescaline, from a consistently weighed amount, depending on which salt form is involved. This can be super complicated and technical and I doubt anyone is reading this who doesn’t get the basic premise. But there are technical issues like having some salt anions that bind two-to-one or one-to-two in crystalline forms. See What is the molecular weight of LSD tartrate? and many, many other discussions for crazy-making levels of detail. As lab testing using GC/MS, HPLC, and FTIR has become more available and more projects are publishing their data and providing harm reduction information to individuals on the basis of their findings, it becomes increasingly important for more people to understand basic elements of some of the technical issues involved. 1) If DIMS received a powder sample of material that contained only MDMA HCl and nothing else, what would the reported purity be? 100%? 2) If DIMS received a tablet sample that contained 100 mg of MDMA HCl and 200 mg of lactose and inactive binders, what would the reported amount of MDMA be in that tablet? 100 mg? or would that qualify under your reporting rules as 84 mg of MDMA (freebase)? The reason they would define pure MDMA HCl crystal as only 84% pure is a little technical, but suffice to say it is not the only way to report an analytical result. The reason that an expert group like Trimbos would decide to report masses this way is to normalize all their information across all salt forms of MDMA. I imagine, though I don’t know, it could be related to different types of quantitative methodologies that they have been working with for a long time. So, dear drug geek reader, the question is not whether this issue is real, but, exactly what methodology and reporting measures are used by the analytical group you’re working with. 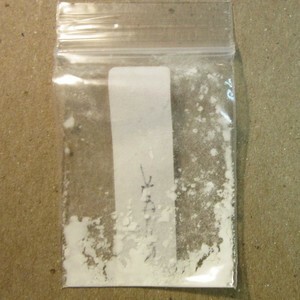 sample with only MDMA HCl could be 100%. SaferParty and the cluster of groups in Switzerland that do work around that brand are very clear in all of their caution and warning publications that they are using MDMA HCl as their basis. For instance, “120 mg MDMA * HCl können zu viel sein”. On Jan 30, 2017, they followed up with a long detailed answer to our questions. As a reference standards-producing laboratory we’ve got most of our standards as solids in our hands, e.g. (water-free) salts. This is in contrast from what you get most times when buying solutions of reference standards from other companies (e.g. Cerilliant etc.). They usually sell the free base as a solution. Due to that, we are using mostly salts for calibrations. The second reason for that is, most of the time we are obtaining samples in salt forms for analysis (e.g. cocaine, heroine, MDMA, amphetamine, methamphetamine and other phenethylamines etc. ); though we do not determine what kind of salt the sample consists of (e.g. hydrochloride, sulfate, acetate etc.). We have had quite good experiences with this so far, as the sum of e.g. mixtures of amphetamine-coffeine-containing samples, when otherwise pure, reach 100% in sum when calculated with amphetamine hydrochloride. When exceeded 100% one may assume it contains a certain amount or all as free base. When the results are displayed as free base one can calculate any possible salt form. We think, according to the black market products here in Switzerland, it makes sense to give the results calculated for the hydrochloride salts, but for comparison with other labs/other countries the use of free base content would be the only value to make sense. Nevertheless, our results can easily be recalculated to the free base content, at least when knowing the type of compound we applied for calibrations/calculations. We see it from the way that most dosage recommendations for a psychoactive compound to be taken orally or by snorting are given in the salt form (if possible), so this substantiates the indication as salt. With DMT as an example, we indicate the free base as content. When having a chemically pure amphetamine sulfate (e.g. 100% Amphetamine sulfate”), its content of amphetamine free base is 73.4%. When having chemically pure amphetamine hydrochloride (e.g. 100% amphetamine hydrochloride), its content of amphetamine free base is 78.8%. When only seeing these numbers, which would you judge to be more pure? The lay would say it to be the second, but chemically both salt forms are chemically absolutely pure (100%). A problem that comes in is, when having, e.g., a chemically impure amphetamine hydrochloride and reaching a displayed content of 73% amphetamine free base, one may imagine this to be a nearly chemically pure sulfate (close to the maximum content of 73.4%), but in fact it is a rather impure hydrochloride (73% out of a maximum content of 78.8%). As long as one does not determine the counterion (salt) this remains problematic. When calibrating and calculating with salts, a measured sample consisting of free base would yield a result above 100%. Each calibration/calculation has its own advantages, be it the use of free base, hydrochlorides, or hydrochlorides monohydrate, etc. As we used waterfree MDMA*HCl for calibration, we would report 100% content. As most of the samples measured here are on hand as the monohydrate (MDMA*HCl*H2O), the measured content mostly lies around a maximum of 93%. Our reported content would be 100mg MDMA*HCl. Our chief chemist just got back to regarding your question. We use MDMA.HCl to prepare our standards for quantitative measurements. So if we would receive sample solely consisting of MDMA.HCl, the result would be 100%. Quantitative MDMA results in tablets are also reported as HCl. So if a tablet contains 100mg MDMA.HCl and let’s say 100 mg alpha-Lactose monohydrate we would report 100mg MDMA content.